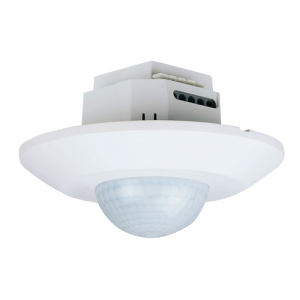 High quality presence detector from Servodan in Denmark. 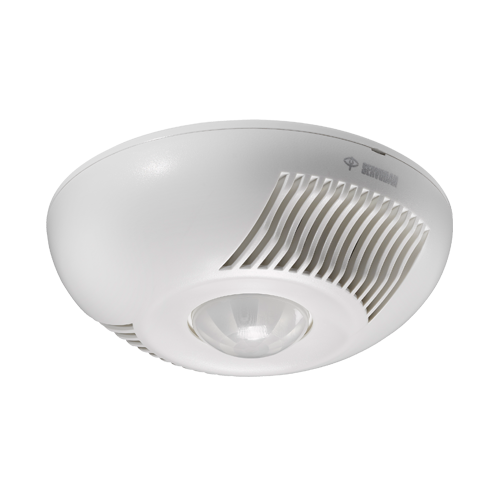 The 41-800 is an excellent sensor for large areas, like open plan offices, bathrooms, change rooms and etc. 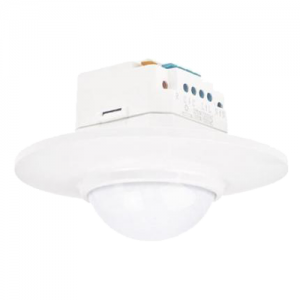 The sensor uses dual technologies, ultrasound and PIR to detect movement and is suitable in detecting people that may not be in the direct line of site of the sensor (behind office cubicles, partitions and etc). 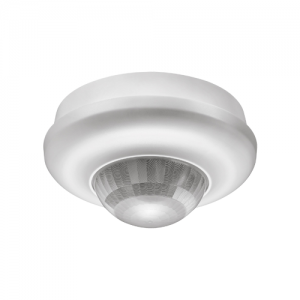 The sensor can be flush or surface mounted and has an optional IR remote for programming and the coverage area can be extended with the the use of the 41-802 Slave sensors.